The first evidence of permanent settlements dates back to VII century BC, when Opici settled down unifying some villages in a flat spot of volcanic origin by the mouth of the Sarno river, so to give birth to one single agglomeration enclosed by walls. On those days, Pompeii was a prosperous trade center. It had business contacts both with Greeks of the near city of Cuma and with Etruscans later. Around the V century BC, the city falls under control of Sannite, then of Rome in AD 290. The Vesuvius eruption in the year 79 AD, spelled the end. For many centuries, it was left buried and forgotten and was rediscovered only in the XVIII century, when the first excavation began due to Bourbons. 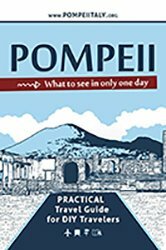 Pompeii was at the top of its vitality and magnificence, when the ash started to rain down covering the whole city within few minutes in about 20 feet of volcanic material. The remains of just a few columns and the top ends of the highest buildings were visible from the deposits of ash. We don’t know exactly the amount of citizens in AD 79. It’s thought they might have been six to twenty thousands of inhabitants. But the victims that were found among the remains rediscovered so far, are around 1.500 of people. It must have been quite a big city indeed and wealthy. It’s still divided into nine areas, each of them matches approximately the historic districts, and is sorrounded by a wall of over two miles with seven gates. The road network is designed with two decumanus and two cardo, to get every monumental architectures linked to each gate. Later, Romans built along the higher side-walks and often outside the wall such as Suburbans Baths and the Royal Villa close to Marina Gate. Necropolis was also built outside the city wall, as in ancient custom, as well as several Villas made just for the entertainment like Villa of the Mysteries. The core of the city is represented by Forum, focal point of the main buildings such as Macellum, Basilica, some of the main temples and public buildings for city administration. Amphitheater is known as the oldest among all in the Roman world. It was built just for the amusement of the people as well as theatres, baths, osterias. Palaestra was built for body care and more than 25 Lupanares to have fun with sexual performances. 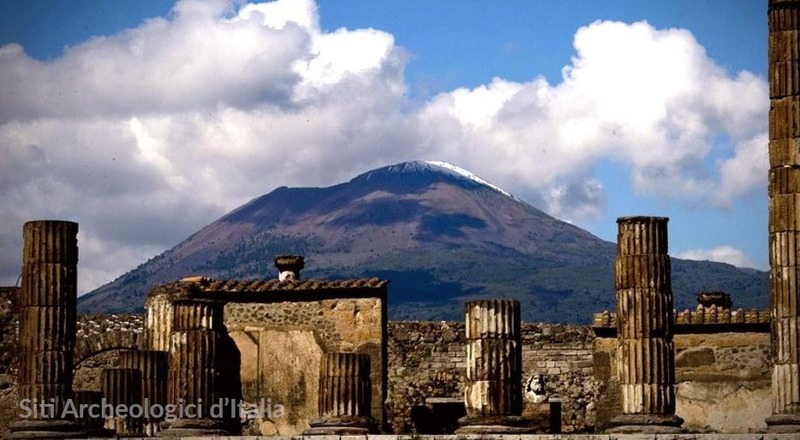 In ancient Pompeii, they played religious observance choosing among several temples and sanctuaries. You’ll definitely get excited while visiting the work-shops such as oil mills, bakeries, hotels as well as the houses completely decorated with amazing wall paintings. It’ll be a journey to the edge of time, that won’t leave you untouched. The artifacts that were found among the remains, are all stored in the National Archaeological Museum of Naples, in the Pompeii Antiquarium and in Boscoreale. Tickets can be purchased directly at the excavation ticket office or the online ticket office. EU citizens between 18 and 25 years old, are entitled to cost reduction. For the full benefits and reductions list, check out the excavations official page. 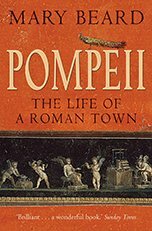 Pompeii, the life of a roman town. 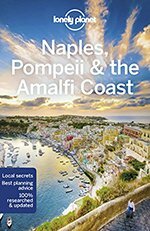 Naples, Pompeii and the Amalfi Coast. Take motorway A3 Naples-Salerno to gate Pompeii. GPS coordinates: Pompei Scavi - Porta Marina Superiore Via Villa dei Misteri, 3, 80045 Pompei (Napoli). International Airport of Naples (95 Km), then take Alibus to Naples Central Station. Archaeological site of Pompeii is quite an experience! Take a whole day to enjoy it all! And it may not be enough because of its wideness and richness. The entrance is very close to Circumvesuviana rail station, so we suggest to get the train. The retail park is pretty expensive and it’s a big traffic flow area. Better to catch the train! Close to the entrance, you will find several coffee bars and restaurants where you can have a fast or a long break, as you wish. There are information boards all along the archaeological path. Plus, the paper guide is very clear and full of details of every single area and houses, so that you could also have the tour all by yourself.